Step 1 Bring a large pot of water to 150 degrees, just below a simmer. Step 2 Pat the shrimp completely dry. Place in a bowl and toss with the dill, salt and pepper until the seasonings are well dispersed. Transfer to a quart-size resealable freezer bag. Add the butter. Fold the bag over to force out as much air as possible, then seal. Step 3Check the temperature of the water with an instant-read thermometer. Lay the bag into the water and cook 5 minutes, then turn the bag over and continue cooking until all the shrimp are just pink, 3 to 7 minutes longer. Turn out into a shallow bowl. Serve over rice. In Recipes-list.com we have selected the most viewed recipes from category - Fish and shellfish Healthy eating Main courses Quick and easy . Enjoy the best recipes specially selected for you! 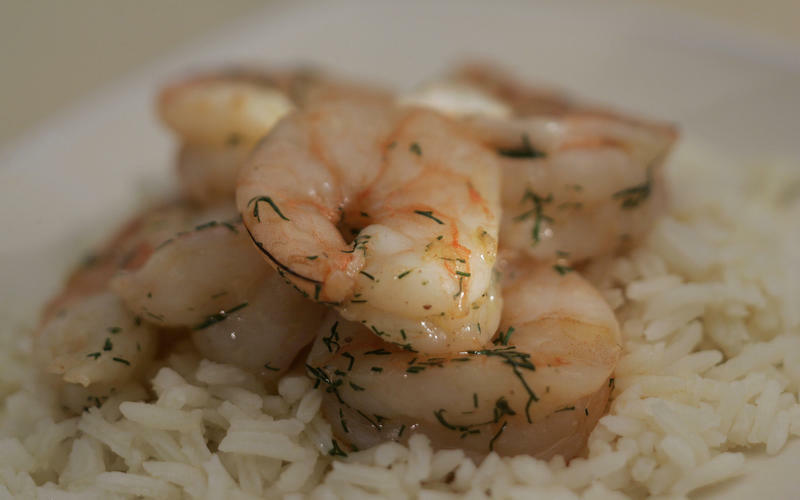 Slow-poached shrimp is the right choice that will satisfy all your claims.